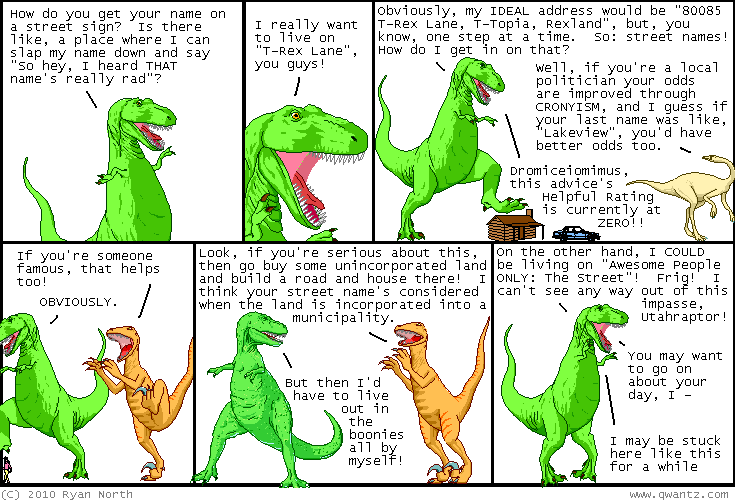 Dinosaur Comics - February 3rd, 2010 - awesome fun times! One year ago today: the gift-givers were like, "SERIOUSLY?? ALL YOU HAVE ARE NASEEM BALLOONS? FRIG. I'LL TAKE *ONE*"